I can't wait for cooler weather, extinguished fires, and holiday fun! Our far-above-normal rain and snow last winter was both a blessing and a curse. The trees and underbrush were happy, but now the fires are consuming everything. First the devastating fire in Mariposa, then the South Fork fire that evacuated many people near Yosemite, now the Railroad fire that started across the road from out beloved Yosemite Mountain Sugar Pine Railroad. Last night some of the vintage cars that sit off on side tracks near the end of the line were lost. As of this morning, the train that runs and the buildings were saved. The Narrow Guage Inn was also OK. About a dozen structures have been lost and the photos show a lot of vehicles that are also gone. The Sheriff's department got into the pack station and got the horses out as soon as the fire started. The Tenaya Lodge and all of the homes in Fish Camp and Sugar Pine are evacuated. The fire had reached 5% containment but that was lost overnight with the fire heading west. This is a difficult time to see all of the devastation in Texas, which makes our little fire look small, but to those of us who love these mountains, the forest, and the wildlife in it, it is also devastating. We are hoping for cooler weather and higher humidity and pray for the safety of those fighting this fire and those in other parts of California as well as the safety of our many friends in Texas. When the weather is this warm, it is hard to think ahead to fall and winter holidays. But, believe me, it is starting to look like the holidays in the store! Although we didn't attend the small summer show in Salt Lake in July, we did order plenty of the new product that was released there. Last week our delivery men were really busy! 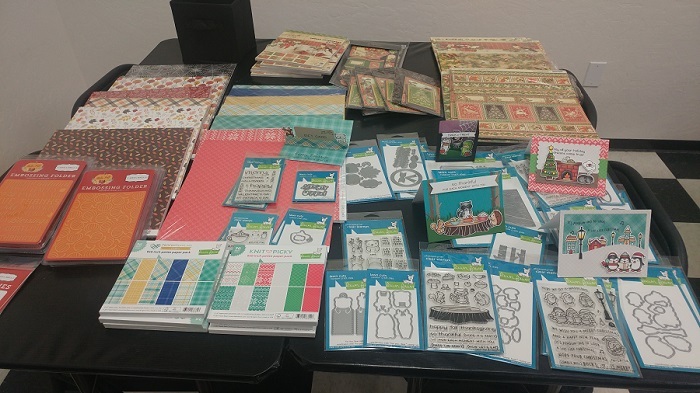 I have unpacked these collections from Lawn Fawn, Carta Bella and Graphic 45! While checking out what that crafty girl, Jennifer McGwire was up to on Youtube, we found this great video featuring Nuvo products. Actually, we also fell in love with this new little company, Ink Blot Shop. We really liked their cute bird set she used for her cards....Click here to view video! I received a box today with a selection this small company has to offer. We also took suggestions from Jennifer and ordered some of the larger sizes of the Nuvo Drops that we use a lot. It is always fun to find a new company or designer. I have three teachers confirmed for Stamp Escape 2018. I hope to have things finalized for the fourth teacher soon and will update the website and announce teachers at that time. If you want to be on the waiting list for 2018, just let me know. No deposits, please, to be on the waiting list....just your name and contact information. Take care....and get started on those holiday cards soon! Beautiful new sequin collections from Buttons Galore. These are reasonably priced at $3.99 or less. Lots of beautiful colors in a nice flat tin that is easy to put extras back in.l I think these are the best additions to shaker cards, and to use as individual embellishments that we have seen. New fall papers from Carta Bella (and even new spider web and Halloween candy papers from Echo Park, too). The fall collection has those great colors that put you in the mood. Lots of trees, leaves, and acorns....think Thanksgiving! The new release from Lawn Fawn is varied. We added the new plaid papers and some of the Christmas papers that have 'sweater prints'. Remember the Faire Isle sweaters? 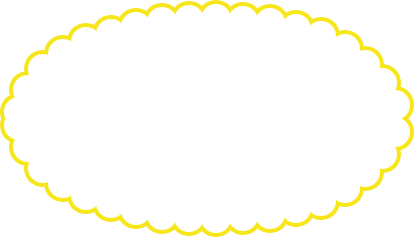 You will recognize this paper. We also bought these in 6x6 pads. There are many stamp and die sets that are really cute. We just received the collection and will need to re-order within a week! The Winter Wonderland collection from Graphic 45 is one of their best! It is very traditional...I love the birds! I can see that I might need to reorder from them also.....it just came yesterday! Our order from Impression Obsession in response to the digital catalog I emailed came, but the dies ordered are now somewhere in transit. The stamps came when they were available but there was a delay with the dies, so if you have an order pending, I should have your dies within the next couple of days. We have new holiday dies from Memory Box and Poppy Stamps. As always, they have beautiful Christmas /Nature themed dies.....I have a hard time deciding what to chose for my Christmas cards. A new display board from Penny Black is here along with supporting stamps and dies...and a few stencils! I think what I love about this board is the 'un-traditional' colors of leafy green and lavenders. It is a little outside the box! We received our die order from Elizabeth Craft Designs, but we are still waiting for their new paper line from Moda Scraps. They said they were expecting it in their warehouse this week, so hopefully we will have it soon. If you are a fan of 6x6 paper pads....you will be in heaven!!!!! As I mentioned above, Ink Blot Shop came today. At this time they have only clear stamp sets...no dies. However the stamps are simple so you could easily cut images out with scissors.....remember scissors? Those are the things we used to cut with! I just unpacked more gorgeous colors of the Nuvo Mousse. We have had so much fun sponging, or rubbing this creamy, pearly, yummy stuff over stencils. It is also great to brush on as pearl/metallic accent. Check out our September classes at Class Schedule. There is something for everybody including a Basics and Beyond class that I am repeating this month for those who missed it. You don't have to be a beginner to benefit from this class. It is a discussion class offering information on ink, paper, techniques, and lots of other things we take for granted that you know!